Fancy working in events? It will involve truck loading, heavy lifting, sweat, building epic stages and travelling around London. All you need is a good attitude and a smartphone. Crewsaders is on the lookout for both experienced and inexperienced crew to join our expanding team. We are searching for hardworking, dedicated individuals who are prepared to undertake sometimes heavy manual labour as well as being required to work long and often unsociable hours. Our offices are located in six regional bases across the country, including London, Bristol, Birmingham, Manchester, Leeds and Scotland. Within your assigned region, you will have the chance to work in different venues and be a part of an exciting and vibrant industry. In return, Crewsaders offers flexible full-time and part-time hours at excellent rates (we pay the London Living Wage across the country, and we are an official London Living Wage employer). If you think your skills and personality match the criteria below, please apply. – The constructing of temporary/semi-permanent structures, i.e. marquees etc. Due to the nature of our work, you may be required to travel back and forth on a single day depending on the duration and number of shifts you have been assigned, so living in a central location is preferable. Successful applicants will be invited to interview at the office of your preferred region. Candidates who are well suited for the role and keen to be a part of the team, are invited to the second stage, which will be the attendance of an induction. The induction includes training on health and safety and work practices and the issuing of uniform and personal protective clothing. Working for the company, you will work as part of a larger team, under the supervision and guidance of a senior crew member to ensure you get the support you need. If you are committed to working in the events industry or would like to explore a new opportunity, please apply to join us today. Urban Crew Ltd provide a high standard of crew to the EVENTS, sports & media industry throughout London & the UK. We are always exceptionally busy with a large number of hours on offer. Urban crew are looking for RELIABLE, hardworking, intelligent, honest & physically strong individuals to join our already dynamic team. Individuals who have pride in their appearance, well-mannered and a sense of respect for clients and their property. You must have exceptional time keeping, be flexible & have a positive attitude. A corporate image is crucial as we work with many high end corporate, media & sports marketing companies. Individual with a sports background are well suited for this role, physically fit & able to work in a team environment. AFFINITY CREW LTD is one of the premier providers of event staff to the conference and event industry in the capital. We are currently recruiting punctual, hard working, reliable staff. Kiwis with a “can do” attitude and are happy to work as event crew, experience preferred but not a deal breaker. THE JOB ITSELF: you will be required to travel to different iconic venues around the capital to help setup and take down events. You will be tasked to load and unload trucks, setup stages, put speakers on stands, run cables put lights on truss in addition to whatever else needs to be done to get the event ready to go. The job can be physical and the hours unsociable. A UK driving licence is not essential but could be advantageous. If you have any of the below skills/licenses this will certainly count in your favour & present the opportunity to earn more: Event carpenter/chippie Forklift driver Cherry picker or scissor lift driver Telehandler driver First aid qualified Health & safety qualification. PAY: You will be on a starting rate of £11 per hour, you will be paid fortnightly. 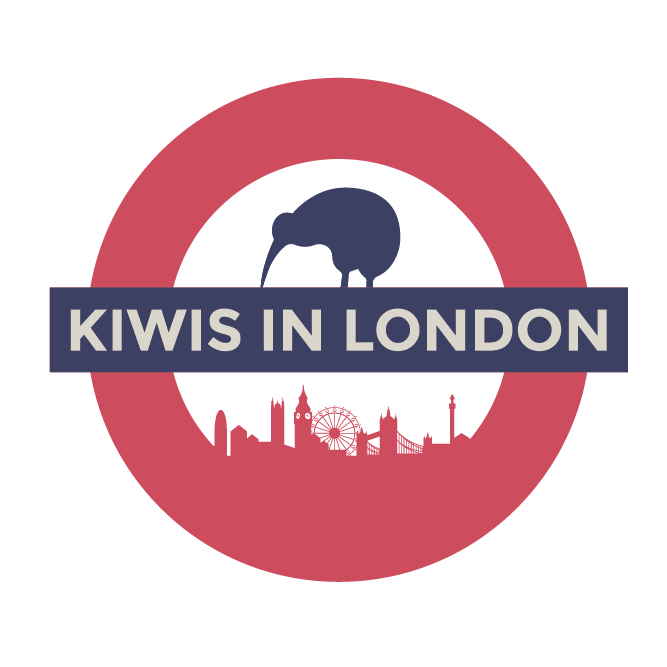 APPLY You can apply by sending us an email with a CV or a brief description of yourself to info@affinitycrew.com or Call us on 0208 892 1409 ensure to mention Kiwis in London. Gallowglass Group – Gallowglass Limited, the largest crewing company in Europe is looking to bolster to its labour force for some exciting projects in the Live Events industry. Gallowglass has a level of experience second to none in the industry. We have hundreds of years of event crewing experience to call upon, and it is that experience that enables us to provide structured, high quality, cost effective local crews. We have over 1,500 active clients on our books and each year we work on between 7,500 – 10,000 events at more than 2,600 venues. We have an abundance of understanding and know how that we are happy to share with our clients. From helping to create the world’s biggest stage to enhancing the smooth running of a local garden party. Many of the jobs we do are hard-work and involve long anti-social hours (we work 24/7), so you must be able to maintain a good sense of humour throughout. If you cannot get out of bed, this is not the job for you! It is hard work, but extremely rewarding. If you are friendly, enthusiastic, physically very fit, with excellent spoken English and a “can do attitude” – then you should be working for Europe’s largest crewing company. Please email your CV to hr@gallowglass.com if you’re interested! Brightsparks We offer fun, flexible and well paid work with a difference to fit around your other commitments. You will have the opportunity to work with your friends at prestigious events and venues in and around London, delivering a high-end experience to customers whether it is on a busy festival bar, in an executive box at key sporting events or serving champagne and canapés at exclusive fashion launches; better still, you get paid for it! We are looking for bright, engaging and well-presented staff, who can combine a hard-working ethos with a pro-active and cheerful demeanour. High Society is a staffing agency that provides part-time bar and waiting staff for fantastic events in London. We have an excellent reputation built up over 20 years and would love to welcome you on board. BONUSES for A STAR service – these include free cocktail making, wine tasting sessions and financial incentives. • Our only requirements are that you must be over 18, have a central London postcode (N, E, S, W, NE, NW, SE & SW), a good work ethic, immaculate appearance, an excellent command of English and enthusiastic manner. Konnect Event Services LTD are a premium supplier of corporate events crew in London and are looking for physically fit, strong and capable people to join our expanding operation. The right person will have excellent communication skills and not be afraid to get their hands dirty. We work alongside an array of different events companies providing skilled and unskilled manual labour for the builds of many different events in London and across the south. We need primarily part time/casual workers with the right attitude to get in touch and start working on our projects immediately, although we do have room for more full-time crew as well. No experience is necessary, training will be provided on the job. Rates start at £9 an hour and can move up to £14 with various bonuses on top. For experienced events staff higher starting rates can be discussed. If you are physically strong and fit, a good communicator and are able to take direction and work as part of a team you will excel in this industry. Along the way you will get to meet many like minded people and get to work in some of London’s coolest venues. We work in places like the O2, Wembley, Natural History Museum, Leicester Square, Tower of London and many more. Please don’t hesitate to get in touch if this sounds like something you could do. Pinnacle Crew We provide a high standard of crew to the EVENTS industry throughout London & the UK. At Pinnacle we are always looking for new people to join our organisation. Any aspiring crew member must demonstrate the following in their character: self motivated, pro-active attitude, physically fit, a good command of the English language, presentable, punctual and most importantly a can do attitude. It is not necessary that you have existing skills in the events industry, however this would of course be useful. We train everyone who joins us in Health & Safety and Industry awareness. Our crews are regarded as the best in the industry. A can do attitude is the key to success in our industry. We pay our crew very well as we believe in rewarding excellence, however, because of this you need to demonstrate a high level of ability and performance to gain employment with Pinnacle. *HOW TO APPLY? * Go to www.pinnaclecrew.co.uk and click “join the crew”. You will be contacted by our Recruitment Manager who will schedule an interview for you. Renard Resources – Renard Resources is a Temporary Hospitality Agency providing work at the finest /high-end Event venues and restaurants in Central London. ABOUT YOU Working for Showforce involves hard graft at times so being physically fit is of imperative, but above all you need to be able to work as a team and have a proactive work ethic. Any aspiring crew member of Showforce must also be punctual and reliable, with a good command of the English language. SILVERBACK EVENT CREW provide premium crewing solutions throughout the UK and Europe. Supporting some of the leading event producers in corporate events, exhibitions, TV, festivals and official ceremonies. The London team is expanding! We are looking for reliable, hardworking, intelligent, & physically strong individuals to join our dynamic team of Event Crew. Only individuals who have pride in their appearance, are well-mannered and have a sense of respect for clients and their co-workers need apply. A sense humour is a great advantage, as is a clean driving license and other event related skills. You must have exceptional time keeping, be flexible & have a positive attitude. You’ll get to work in iconic venues around London, gain experience in the events industry and be part of a fantastic crew. If you think you are what we are looking for, please email or visit our website. Theme traders is an exciting creative leader in the event production industry; based in London working across the U.K. and Europe. Theme traders thrive on creating unique event experiences and productions that exceed client expectations; focusing on creative design, imagination and originality to produce events with a difference. This is an exciting opportunity for a hard working, driven individual who works well within a team to join our busy operations department. Applicants should be reliable, punctual, physically fit and have a good command of English. Immediate start. The successful applicant will join a busy department within a growing company. Daily duties will vary, the applicants should expect to work both at Theme Traders warehouses and off-site at venues across London, the U.K. and Europe. These duties will include loading and unloading of trucks, rigging, draping, site visits, set dressing, warehousing and having a creative input in the events they are involved in. Our team will train and push the successful applicant to learn and progress their industry skills and knowledge so ambition and self-motivation are essential for the role. Our events are fantastically rewarding to be part of. Set in some of the country’s most picturesque locations, you will be part of a fantastic team working towards a common goal. But it’s hard graft and you must be physically fit, have a strong work ethic and excellent standard of English. In return for your hard work we offer competitive pay rates, travel opportunities and the chance to advance into more senior roles on the team. Please note, this is part time work only taking place on some weekends over the summer months.